Audi tasked TMB Events with organising an event targeting the medium sized chauffeur companies, a segment which has been traditionally dominated by its competitors. Programme, which now includes selected models from the all-new Q7, A6 Saloon and A7 Sportback range. 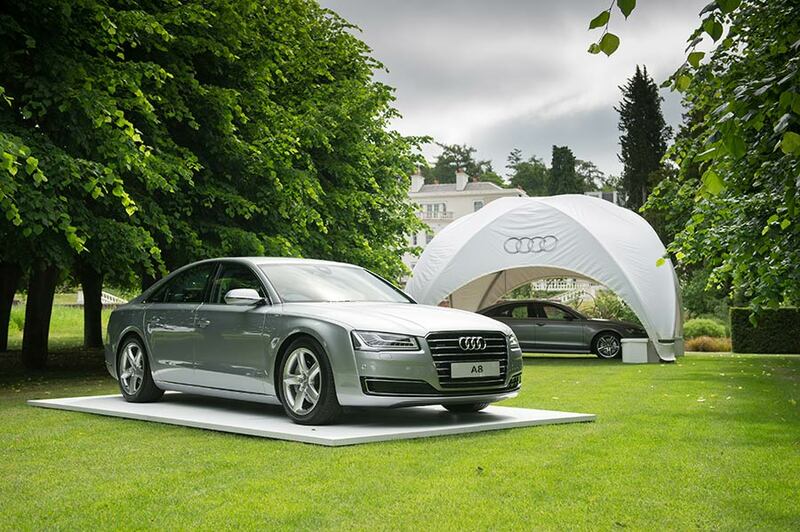 Based at the luxury Coworth Park hotel just a stone’s throw from the racecourse, the three-day event enabled chauffeurs to test drive some of the latest Audi models. They could then discuss their needs with Audi Fleet staff in the lounge over a delicious barbecue lunch. “We’ve launched a new contract hire package through Audi Finance, and we’ve added selected models from the A6, A7 and all-new Q7 range,” says Steve Griffiths, Audi fleet manager (South-East), who has recently taken over the running of the Chauffeur Programme. The Audi Chauffeur Programme is seen as the industry benchmark largely because it is the only one with the promise of a licensed replacement vehicle anywhere in the country if your car is off the road for a warranty repair for more than 24 hours. Most competitors offer a replacement only in London. The programme also provides convenient servicing – for example late at night, or even overnight at larger Audi Centres. Audi also offers a licensed replacement vehicle through a specialist accident management company if a car is involved in an incident, regardless of who was to blame. The event span 3 days at Calcot Manor and targeted an average of 50 chauffeurs per day. This was a perfect opportunity for chauffeur companies who would operate around Ascot to experience the Audi Chauffeur offer and line-up in a luxurious yet relaxed atmosphere emblematic of the brand. Audi Fleet anticipates the Coworth Park event will become an annual feature of Royal Ascot week and is open to every licensed chauffeur – regardless of the car in which they arrive. The event was well received and helped establish a strong awareness of Audi as a very attractive contender among the chauffeur fraternity, through direct participation at the Coworth Park Ascot event and via word of mouth.